Parachutes for drones emergency recovery. They can be used also for recovery of FPV, radio controlled vehicles of any kind, military targets. Drone parachutes There are 4 products. Professional 84 in. 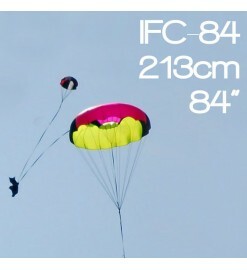 (213 cm) toroidal parachute, Iris Ultra Standard series, for high power rockets and other sounding devices. Professional 120 in. 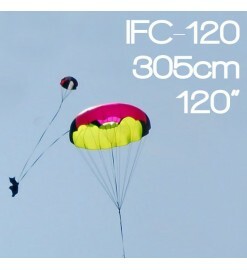 (305 cm) toroidal parachute, Iris Ultra Standard series, for the largest high power rockets and any device that require a reliable recovery. Professional 144 in. (366 cm) toroidal parachute, Iris Ultra Standard series, for the largest high power rockets and any device that require a reliable recovery. Professional 60 in. (150 cm) toroidal parachute, Iris Ultra Standard series, for high power rockets and other sounding devices.